Learn how to read the pitches on a standard notation staff. 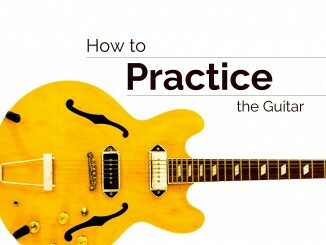 Learn how to map the pitches to the guitar. Learn how accidentals change the pitch of the note. Learn how key signatures work. 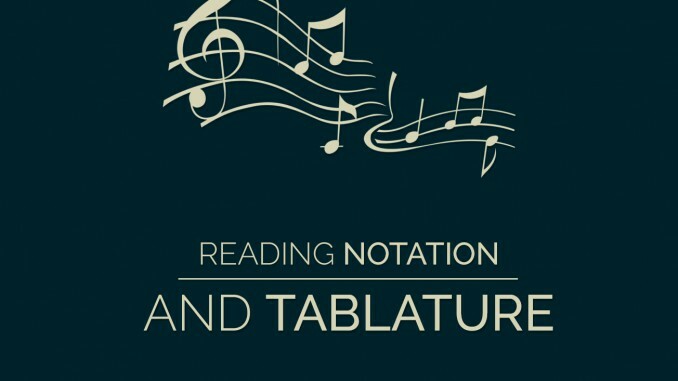 Learn how tablature works to enhance standard notation. Standard notation is a very important form of written musical communication. It tells a musician which notes to play, when to play them, and how to play them. When combined with tablature, it is even more powerful. 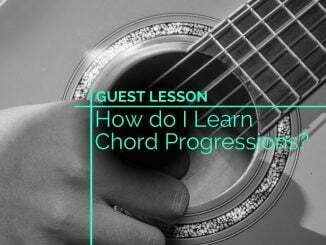 This lesson will show you how to read the pitches of the notes and how to read basic tablature. Tablature, or tab, is a notation method used by stringed instruments to learn a song quickly. For guitar, it consists of six horizontal lines, which represents the strings of the guitar. The top line represents the first string. The bottom line represents the sixth string. Numbers on the lines indicate which fret to play on that string. Although tablature does not tell you how long to play a note, it is often notated with a standard notation staff so you get the rhythm and note names as well as the exact fretting-hand fingerings. Tablature is read like a book: from left to right. Because the rhythm is only notated in standard notation (and I haven’t explained that yet), listen to the audio example first. In the practice example, you will see two staffs: standard notation staff (on top), tablature staff (on the bottom). You only need to concern yourself with the tablature staff for this exercise. Play the 3rd fret of the 5th string. Play the open 4th string. Play the 2nd fret of the 4th string. Play the 3rd fret of the 4th string. Play the open 3rd string. Play the 2nd fret of the 3rd string. Play the open 2nd string. Standard notation is written on five horizontal lines called a staff. Each line and space between the lines represents a note. The lines and spaces of a staff can represent different notes based on which clef is used. For guitar, the treble clef, or G clef, is used. The treble clef indicates that the lines represent E, G, B, D, and F. To remember them, you can learn this common mnemonic device: Every Good Boy Does Fine. The spaces represent the notes F, A, C, E. This is easy for most guitarists to remember because is spells the word face. Ledger lines are used when a note is too low or too high to fit on the staff. They extend the staff beyond five staff lines so more notes can be notated. Ledger lines are used to notate beyond the staff lines. The seven note names repeat as you move up the staff. The following figure shows the notes that the guitar can play from a low E to a high E (some guitars can play even higher notes). Mary Had a Little Lamb isn’t a cool song unless you are listening to Buddy Guy’s bluesy version of it. However, it is perfect for learning notation because most people know the melody. Since I have not explained how to read the rhythms of the notes (how long to play each note) yet, I provided an audio example for you to test yourself. For this example we will play the song on one string (the fifth string). While playing this song, notice how the C note needed to use a ledger line because its pitch is too low to fit on the staff. Also, notice how the C note sounds deeper or lower in pitch than the G note. To help you visualize and play the song, look at this fretboard diagram of the 5th string (A string). Remember to place your finger behind the fret to play the note. Sometimes the notes between the basic seven notes need to be played. Accidentals (sharps, flats, or naturals) are used to indicate that you should play the note a half step higher or lower in pitch. On guitar, this means you play the note one fret higher or lower, respectively. Sharps (♯) indicate that a note should be played a half step higher. Flats (♭) indicate that you should play the note a half step lower. Naturals (♮) mean that you should play the note as written without any sharps or flats. This is useful because accidentals last for the duration of the measure (explained later in this lesson). This exercise shows you how to play accidentals. Accidentals stop working when they reach the end of a measure, or bar. Measures end at vertical lines called bar lines. The example below has 5 bars. Accidentals change the pitch of the note by a half step. Each fret on the guitar is a half step of movement. For your convenience, I added a fretboard diagram of the fourth string notes. Notice how G-flat and F-sharp are the same note and how G-sharp is the same pitch as A-flat. At this point, just remember that they are the same note. The reason for this requires learning music theory. Sometimes all the accidentals are intended to last for an entire piece of music. In this case, a key signature is used. Key signatures last until another key signature is written in the music. The diagram below shows all the possible keys and their names. Once again the reason behind the names of the keys requires learning music theory. Just remember that they are named after note names. a flat on the B line so all the B notes are played as B-flat. Key signatures are short-hand ways of using accidentals in music. They work by saying something like this, “Every B note will be flat unless an accidental changes the note.” Below are two examples that are played exactly the same way. One is written in the key of C (no sharps or flats in the key signature). The other is written in the key of G (F-sharp in the key signature). The following example uses notes from both the second string and the fifth string. A diagram of the second string is provided. The fifth string diagram is given earlier in this lesson. Key Signature Example (Key of C) – Notice how the accidentals are used. Key Signature Example (Key of G) – Notice how the key signature changes how accidentals are used. Thanks, really helpful. I purchased a Guitar yesterday and I’m new to all what’s related to music. 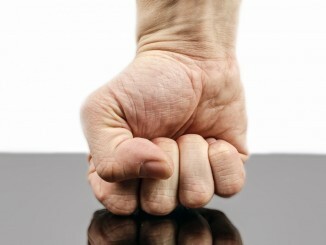 Though, I’m a good listener, but wanted online lessons as the one of uour behalf to start with. I need to further my reading ability. I can read single line things and have moved more into simple chords (triads)but I would to continue and get better at reading rhythm. Thanks for coming to Guitar Lesson World to help you learn to read notation. It sounds like you’re on the right path to learning notation. Send me an email if you have a specific question and I will try to help. this stuff is really great. I love playing fingerstyle guitar musics.. I’m on my way to learning.. And still looking forward to improve.. Thanks for the lessons. I really love your lessons, it has improve me a little but I still need more. thanks. Thank you for the kind words. I’m glad I could help. Can u please tell me more about using of accidentals.I am new to it. Accidentals simply raise or lower the pitch of the note by a half step from what is in the key signature. They last for the rest of the measure (unless another accidental is used). Sharps raise the pitch by a half step. Flats lower the pitch by a half step. Naturals remove a sharp or flat for the rest of the measure. Thank you for those lessons.it is really helping me a lot to improve my level. Thank you for the kind words. I’m glad my lessons are helping you!